LOCATION: This home is steps from the beach. DETAILS: Situated on Destin’s pristine white beaches, Villa Coyaba’s 2,200 square foot luxury condominiums offer guests a beach haven of rest and relaxation. Featuring 4 bedrooms and 3 bathrooms, this sophisticated 3rd floor unit comfortably accommodates 12 guests and features new top of the line furnishings, a large Gulf front balcony with an unbeatable views, fully equipped gourmet kitchen and complimentary beach chair service during season. Villa Coyaba is an intimate complex with only 34 units nestled on Scenic Highway 98 and provides guests the convenience of two covered dedicated parking spots as well as being a short drive/walk away from all of the world-class shopping and dining Destin has to offer. AMENITIES INCLUDE: Unlimited adult bikes provided, beach set up, beach access. This property comes with 2 dedicated parking spots. Complete Clean Linen Participant - ALL linens, including comforters laundered upon every checkout. Our bachelorette group and Bride had the absolute best time ever! The condo was gorgeous beyond belief! The balcony is huge and perfect for dancing and having fun! Everything was clean so we didn’t even lift a finger! It is right in the middle of all the fun and since it is doesn’t have a ton of units we had all the room we needed on the beach! We also had plenty of room with 11 people! If I ever come back to Destin this will be the place I stay! Already thinking about a birthday trip for July!!!! Great place to stay. We loved it! Was a family vacation with our two daughters and two granddaughters. Had 11 family members total. Will be coming back!! Villa Coyaba is such a beautiful place and you cannot beat the views! We are so happy you and your family had such a wonderful time. Thank you for staying with 360 Blue and we hope to have you back soon! We had a great condo was very nice and walks on beach was great also riding bikes and teenagers had fun on spring break. Thanks for making this a great trip. We are so glad that everyone in your group enjoyed your time with us in Destin at Villa Coyaba! Thank you for staying with 360 Blue, we hope to host you all again soon! Everyone I dealt with at 360 Blue was exceptional, Amber in particular helped me with an issue unrelated to my stay. It is a 1st class operation from start to finish. Had a wonderful time and already booked for next year. We are so delighted that you enjoyed your experience with us at 360 Blue and that you had such a great vacation in Destin! Thank you for staying with 360 Blue, we look forward to seeing you again very soon! The condo is beautiful, the beach is even better. We had a great trip - so relaxing to sit at the beach or just on the huge balcony. Fun, empty-nester vacation for us and a few friends. We are so glad that you enjoyed your vacation with us in Destin at Villa Coyaba! 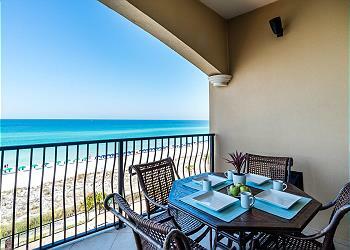 We agree that this condo is a great option to enjoy our beautiful beaches! Thank you for staying with 360 Blue, we look forward to seeing you again soon! Our 4th time staying here and it was amazing as always! We will be back next year! 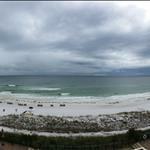 We are so delighted that you enjoyed your stay with us in Destin, and the photo you shared is breathtaking! Thank you for staying with 360 Blue, we look forward to seeing you again soon! Extended family vacation. First time to Emerald Coast. Rented both units 307 and 308. Both were comfy and the kitchen was well-appointed. The pool is big enough that my kids had plenty of room to swim and play and the beach was beautiful. Only glitch was that the wifi didn't carry out to balcony very well and the cell phone service dropped if you walked around inside the unit, but that may be normal in a very solidly-built hurricane code building. Overall loved it and will likely be back! 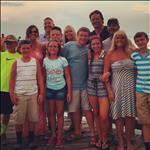 We are so thrilled that you and your group enjoyed your vacation with us in Destin! We agree that the condos at Villa Coyaba are second to none! The accommodations of the pool and private beach are amazing! We hope you are able to join us here again very soon! We are so sorry to hear that you had some bumps along the way during your vacation but we are so glad that despite them you enjoyed your time. We will share your valuable feedback with our team immediately. We hope to see you again very soon! we had an amazingly fabulous time. our youngest daughter, Maddie was diagnosed with leukemia in 2106 and she was awarded thus trip via sandcastle kids. We loved everything from shard art to dolphin cruise and just relaxing and playing on the beach. the unit we were in was wonderful and had everything we needed. We were so honored to host your family for such a special trip. We are thrilled that you enjoyed your time in this beautiful home. We hope to see you back soon! The condo was spacious and furnishings were nice. The deck was awesome- great seating options and view! Loved having a heated pool as well! The only negative I have is the pack’n play was old with torn fabric and was difficult to setup due to being improperly taken down previously. Overall, loved the condo and the location of it! 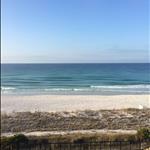 We’ve been to Destin many times, but this was the first time staying beachfront and we’re hooked! We love the beautiful picture of the sunset! This beachfront condo does provide some amazing views. And the large heated pool is one of the best amenities at Villa Coyaba. Thank you for your feedback on the pack n play-we can certainly assess and replace this. 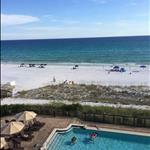 The location of this condo makes it the perfect choice for families who want to vacation in Destin. Thank you for staying with us-please come back soon! We had a wonderful time. 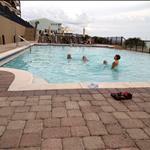 The condo was perfect for our family of 9. Waking up and watching the ocean as we atebreakfast on the veranda was a beautiful way to start our day. The soft white sand was our playground for the 5 day stay. As my little one said "I wish we could stay here for another 365 days". Staff at Villa Coyoba were very helpful and friendly. We will definitely be back for another visit. We are so thrilled to hear that everyone in the family had a great time! We agree with your little one, we wish you could stay another 365 days! We loved having you with us in this beautiful home and we look forward to having you back again soon. We are so pleased to hear that you enjoyed your stay with us! This unit really is the total package with amenities, location and beach chairs! Thank you so much for choosing 360 Blue for your beach vacation. We hope to see you all back again soon! This was a perfectly lovely trip! The property was beautifully decorated and very clean and comfortable. Our concierge was helpful and friendly, and quick to respond to our questions. The patio was my favorite - deep and shady with a lot of comfortable seating and that glorious view! Heavenly! Two very minor issues would be the need for more dish towels, and the master bedroom carpet is worn near the entrance, but those things did not detract from our enjoyment of this beautiful property. What a cute group photo! We are absolutely delighted that you enjoyed your stay with us so much! We are happy to hear you could enjoy some relaxation time on the patio as well, it really is the perfect spot to relax! Thank you so much for choosing 360 Blue and taking the time to provide us with this valuable feedback. The homeowner replaced the carpet in January of 2018 and we hope to see you back soon to check out the updates! Everything was great. The place was clean and decorated beautiful. The beds were very comfortable in every room which is rare and that's a huge plus. We have always loved staying at villa coyaba. This unit was for sure our favorite because of those beds. There was only one kitchen towel and more is really necessary for a week stay. With that being my only complaint I'd say you guys made our stay fabulous. A BIG shout out to Daniel (the chair guy). He was absolutely amazing. He was friendly and very eager to always help us in getting our stuff down to the beach. We have been going to Destin for 18 years and have never had an attendant like him. He's a keeper for you guys for sure. What a great family photo! It's definitely one to frame and look back for years to come. We're so pleased to hear that you enjoyed the property so thoroughly. We pride ourselves on truly providing a home away from home for our guests! Thank you so much for choosing 360 Blue for your beach vacation, and for taking a moment to share your experience with us. We hope to see you back at the beach soon! The perfect conditions from the weather to the beach to the crystal clear ocean free of jellies, seaweed, or any debris prevailed for the entire week. 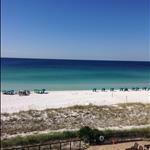 Been vacationing at Destin area for 40 plus years and by far the best, most enjoyable trip in that time. At Villa Coyaba all as advertised and expected. 360 Blue does a good job. What a beautiful beach photo! We are thrilled you enjoyed your stay so much in Villa Coyaba! Thank you so much for staying with 360 Blue and we hope to have you back again soon! This is absolutely the perfect place to stay! This is the second year in a row we have stayed here and it was amazing both times. The condo is so nice and the view is amazing! The pool is big and never crowed. Our beach chairs were set up for us everyday. I love that it is on a private beach!! There were a couple times when people would walk by and decide to set up there beach chairs right in front of us. They were quickly removed by the guy running the chair service. We had several little kids with us, so we could leave all of stuff down at the beach and go back to the room to take a break. Since we could see our stuff from the room we didn't have to worry. We will definitely be staying here again!! What a gorgeous photo! 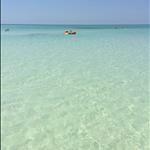 It looks like you got to enjoy some perfect weather and our crystal clear waters! We're thrilled that you chose to stay with us again this year, and appreciate you providing us with your valuable feedback! 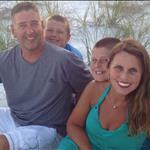 Thank you so much for choosing 360 Blue for your family's beach vacation. We look forward to helping you plan your next visit with us! Thank you for choosing 360 Blue! We are thrilled that you enjoyed your stay. We are so glad we were able to get the ceiling fan replaced for you and we are passing along your feedback about the carpet to the owner. We hope to see you back at the beach soon! We loved our Destin BLUE 360 rental. Our unit was very clean and inviting, and the view was unbelievable. The beautiful kitchen was well equipped with everything needed to prepare meals. All of the staff including the garage attendants were so friendly and helpful. This is our new favorite place to stay. The only complaint was the lighting. My husband is a lighting consultant, and he recommends LED bulbs instead of the CFL's in most lamps and bathroom lights. I could barely see to put makeup on in the guest bath. Also, it would be helpful having a small tv and wall lamps in the bunk room. It would seem more like a bedroom. Otherwise, this unit was fantastic. We also loved working with BLUE360. The staff was very patient and friendly each time I spoke with them. I will definitely use BLUE360 again for vacation rentals. We loved the bike usage. We are thrilled that you had such a wonderful stay in this beautiful home. We really appreciate your feedback and we are passing it along to the homeowner. We loved having you here and hope to see you back soon! The condo itself was even more beautiful than the pictures with the updated furnishings! It is huge with great indoor & outdoor seating. One of the reasons I chose the property was because of the heated pool come to find out they stop heating it April 1st, so the water was very cold. There were a few cleaning issues in the condo but they did not take away from the fabulous view, great beach access and wonderful time we had on vacation. Such a beautiful photo! We are so happy to hear you had such a great stay in Villa Coyaba! We are so sorry that the pool was not heated for your stay and we appreciate your valuable feedback. We generally pride ourselves on having immaculately clean homes and apologize if this was not your experience. We are working hard with our housekeeping department to make sure this does not happen again in the future. 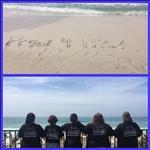 Thank you so much for staying with 360 Blue and we hope to have you back at the beach again soon! Destin was a great and unforgettable vacation. The sand was white and clean; the ocean was a pretty blue; and watching the dolphins swim and play in the water every morning was priceless. 9 people were in our group. My favorite part was just relaxing at the beach with no responsibilities. And going to Bru sters Ice cream 3 different nights during our stay. This is a place I would recommend to others. Thanks for the experience. Looks like it was the perfect day at the beach! We are so happy you made so many wonderful memories in Destin! Thank you for staying with 360 Blue and we hope to have you back soon! Overall great trip! Few issues with the oven that took 2 days to resolve but the staff at 360 did a wonderful job at getting this taken care of as quickly as possible. Plenty of room for a great trip with friends! Thank you for the lovely photo! We appreciate your patience with the unforeseen oven issue, and we did our best to resolve it as quickly as possible. Convenience and comfort are 2 of the most fantastic qualities at Villa Coyaba, in the heart of Destin. Please allow us to host your next vacation again soon. Edit: the oven in this unit was replaced on 3/14/2017. Another perfect stay, our second, we'll definitely be back. This is our Florida home away from home! 14 folks with plenty of room! Looks like perfect weather to enjoy the pool. We are so glad you keep returning to Villa Coyaba and enjoy all this fantastic accommodations here. Thank you for choosing 360 Blue and we look forward to helping you plan next year's vacation. Everything was just perfect! The condo is beautiful, so spacious, and close to anythjng and everything you need! We had a great time! Gorgeous gulf view from Villa Coyaba! We're so happy you enjoyed your stay with us at condo 307. We hope to see you back next year!! We had a great time!! The condo was Great!! Water looks so inviting! Thank you so much, we are happy you had a wonderful time!! So happy to be back in Destin! We have been staying here at villa coyaba for many years, about 3-4 trips a year! This trip there are 4 adults- my parents, my sister and myself. We love the condo and the view! 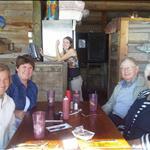 Our favorite place to eat is Pompano Joe's. Thanks for always having things ready for our arrival. See you next time! We had a great stay at Villa Coyaba. The condo was spacious abd beautiful. There were 5 adult women in our group. I wish there were at least one body length mirror and it was difficult to prepare meals because the oven setting are not visible.....see ya next year!!!!!!!! What a gorgeous shot of the view from this unit! It truly captures the spirit of a beach vacation. Thank you so much for choosing 360 Blue for your beach retreat and for taking a moment to share your experience. Since your suggestion, the owner has added two full length mirrors in the condo! We will have a look at the stove knobs as well. We are so thrilled to hear that you enjoyed your stay and we are already looking forward to your next! We had a great time at Villa Coyaba!!!! the condo was beautiful and spacious - only thing I would recommend is more mirrors in the bedrooms - we had 6 women and only bathroom mirrors and no floor length. But it was great and we absolutely hated leaving... looking forward to another Villa Coyaba vacation!!!! This photo is absolutely stunning! Wow! Thank you so much for choosing 360 Blue for your summer vacation and for taking a moment to share your experience. The owner has recently installed two full length mirrors due to your valuable suggestion! We are very happy to hear that you enjoyed your stay and hope you'll be back soon! 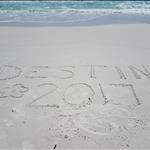 Our 4th year in Destin and 4th time to stay at Villa Coyaba! 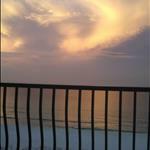 Love to stay here and enjoy Destin so much!! Go HOOSIERS! What a happy-looking group! Thank you so much for sharing! We cannot tell you how much we love to hear from the folks who come back again and again! We can't wait to have you next year! What a great condo!! it was a pleasure to stay there. 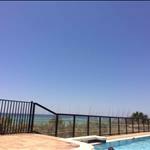 Great beach access and views, Nice to have a pool also. Loved that is was so close to shopping, movie theaters and restaurants. Can't wait to go back. Love your photo! That view is unbeatable rain or shine! 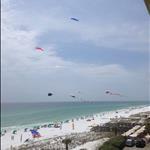 This really is such a great place to immerse yourself in the laid-back lifestyle of the Emerald Coast. With the view, the pool, and everything you need close by, you'll find yourself relaxed and refreshed in not time. (And never quite ready to leave.) We are thrilled that you enjoyed your stay and hope that you'll give us a call for your next beach retreat! Great vacation at Villa Coyaba! Beautiful condo, heated pool and large balcony allowed us to enjoy every minute of our stay. Based on our personal experience, there are a few areas that could be addressed including installing a grab bar in the guest bathrooms. We traveled with an elderly grandparent and they had difficulty getting in/out of the tub/shower combo because they are very deep. I also found this challenging at times and i am in my 30's! This is certainly not a complaint, just a safety recommendation! The other issue was that the headboards were not attached to the beds or walls in 2 of the rooms. This made for very loud banging when just rolling over in bed. Not a big deal, but a nuisance at times. The condo was very clean, well stocked and in the perfect location! We will definitely be back! Great photo! We are so glad to hear that you enjoyed your stay. This truly is a wonderful place to experience the area whether it's your first visit or an ongoing tradition. We will make sure that your recommendations about the shower/tub makes its way to the homeowners, and we will send someone out to look at the headboards to see if there's a better way for them to be affixed. We hope you'll be back soon! Another awesome vacation in Destin! Our 3rd year at Villa Coyaba, the place best to stay in Destin! We had 7 families, 24 people, in 3 different condos! Can't wait until next year! Thanks for your hospitality! GO HOOSIERS!! 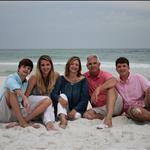 What a beautiful family....we miss those smiling faces! Come back to see us again as soon as you can! We promise to leave Villa Coyoba just the way you left it! Thank you for your review! We appreciate you guys staying with us. We absolutely can't wait to have you back! Its unfortunate you had issues with the crib and the cleanliness of it. We will certainly look into that and see to it that it doesn't happen to any future guest. Thanks again for staying with us!